Dr. Panicek accepts the following list of insurance providers. Select your insurance provider to see more details. I am a diagnostic radiologist with expertise in CT and MR imaging for people with bone tumors and soft tissue tumors. I have been practicing radiology for more than 33 years and have been at MSK since 1988. I am honored to work at MSK. It is the epitome of a world-class cancer center. It brings together excellence in cancer medicine and state-of-the-art imaging facilities to deliver the best patient care possible. As a member of the Sarcoma and Bone Tumor Disease Management Teams, I work closely with surgeons, medical oncologists, radiation oncologists, and pathologists to find the best diagnosis, treatment, and follow-up for each person with these rare and often difficult-to-treat tumors. In working with these highly skilled doctors every day, I continually improve my own skills. My colleagues also help me learn about the latest advances that impact patient care. 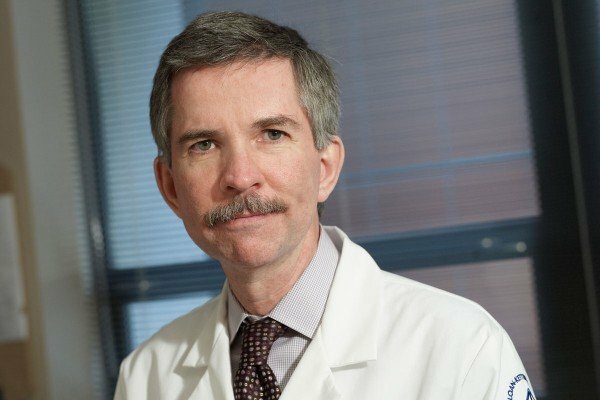 My research interests include seeing how well certain imaging techniques work in diagnosing and treating people with cancer. I was the lead investigator on a National Institutes of Health multi-institutional project that compared CT and MR imaging for staging musculoskeletal cancers. My current research is on MR imaging and CT scanning of bone and soft tissue tumors. Throughout my career I have been actively involved in teaching radiology residents and fellows. I have received local and international awards for teaching excellence. Teaching is extremely rewarding. It is truly a privilege to guide trainees as they increase their skill in interpreting radiologic exams of people with tumors. Many of these students go on to use the best practices that they learned at MSK when they work elsewhere. It is gratifying to know that countless people in the future will benefit from the high level of skill in this future generation of radiologists. I am also the director of our large fellowship program in oncologic imaging. In addition, I am Vice Chair for Clinical Affairs in the Department of Radiology. This position allows me to identify areas for improvement throughout the department and then implement those improvements. I have published more than 135 peer-reviewed scientific articles, review articles, and book chapters, and co-edited one book on the reporting of oncologic imaging studies. I am an elected member of the International Skeletal Society and serve on the editorial board of its official journal, Skeletal Radiology. I review articles that have been submitted for publication in a number of medical journals and have served on various committees of major organizations, including the Radiological Society of North America, the International Skeletal Society, and the American Joint Committee on Cancer. I was Co-Chair of the Radiological Society of North America’s Task Force on Oncologic Imaging and Therapy. We organized lectures for the radiologists and radiation oncologists who attended the society’s annual meeting. I lecture about oncologic imaging and imaging soft tissue and bone tumors. I was elected a fellow of the American College of Radiology in 2002. Visit PubMed for a full listing of Dr. Panicek’s journal articles. Pubmed is an online index of research papers and other articles from the US National Library of Medicine and the National Institutes of Health.